Visit Bihar Destination Management Pvt.Ltd, Approved By Govt. of Bihar, Dept. of Tourism. Visit Bihar is full-service Destination Management Company committed to 100% customer satisfaction, delivering unforgettable travel experiences throughout the Bihar and Jharkhand. We have highly qualified, multilingual team that not only offers excellent geographical and regional knowledge but an in-depth understanding of the respective culture and clients needs.The common thread in what Visit Bihar offers is a focus on authenticity of travel experience, working with local communities and featuring the distinctive character of the people and places we offer during the visit to Bihar and Jharkhand. We specialize in the design, coordination and implementation of unique Customized tours, leisure and religious packages of Buddhist, Jain, Sufi and Sikh Circuits along with unique fair and festivals of Bihar, Wildlife/Ecological Tours, Special Interest Tours and Corporate Travel Services for every single or group need. We know our region inside and out, our professional team is eager to assist you in meeting all your needs. We are actively involved in the promotion of tourism in the region. This involvement has seen us working closely with key travel trade organizations and suppliers – both government and private. We make intelligent use of our operations and technology to minimize our carbon footprint and involve local community to balance between tourist and the local community. 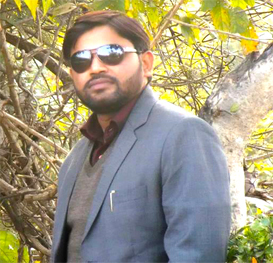 Prakash ChandraC.E.O Of Visit Bihar Destination Management Pvt. 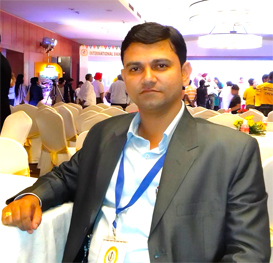 Ltd.
Prabhat KumarManaging Director Of Visit Bihar Destination Management Pvt. Ltd.
Visit Bihar Destination Management Pvt.Ltd offers you Buddhist Circuit Tour, Jain Circuit Tour, Sufi Circuit Tour, Sikh Circuit Tour, Gandhi Circuit Tour, Ramayana Circuit Tour, Special Interest Tour, Fairs & Festivals Tour, Jharkhand Tour, Nepal Tour, Educational Tour, Wildlife Tour. We make holidays of a lifetime that will stay etched in one’s mind forever. We have local as well as International Honeymoon and Family Holidays where clients can celebrate marriage on a honeymoon, or cherish family time, exploring world’s best destinations with assorted travel themes or personalized individual package. We also offers you Taxi Service, Cabs & Car rental service in Patna Station pick-up facility, Online Cabs & Car Booking. We also provide you Online cabs hiring services from Patna Station to Hotels, Sight-Seeing Places around Patna, Bihar. 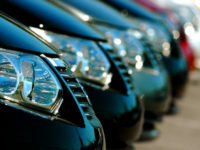 We are providing Car Rental Servies 24 x 7. 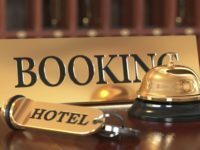 Get lowest rates for online hotel bookings in India at thevisitbihar.com . Call Us Now +91 9798986856, +91 9905653597. For Enquiry : info@thevisitbihar.com / thevisitbihar@gmail.com.